It was one of the biggest events of the decade for lunar enthusiasts: a supermoon eclipse. Countless photographers, both amateur and professional, flocked outside armed with cameras to capture the rare natural phenomenon. The cosmic combination won't happen again until 2033. To tide you over until then, check out some of the best photos taken of the event from around the world. 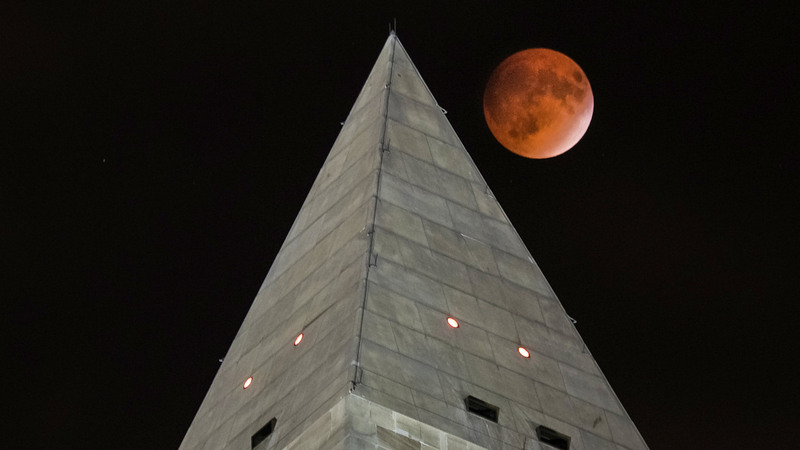 For the first time in more than 30 years, a supermoon coincided with a lunar eclipse. Some photographers, like Bryan Snider in Gilbert, Ariz., captured the entire eclipse. He created a breathtaking timelapse video. A supermoon occurs when a full moon makes its closest approach to Earth, NASA explained, which makes it look larger and brighter. An eclipse is when a moon passes behind the Earth into its shadow, giving it a reddish tint. Before this weekend, the last time the two coincided was 1982.